Been feeling kinda sick for the last couple of weeks, so I felt like drawing a sick pony getting some much-needed TLC. 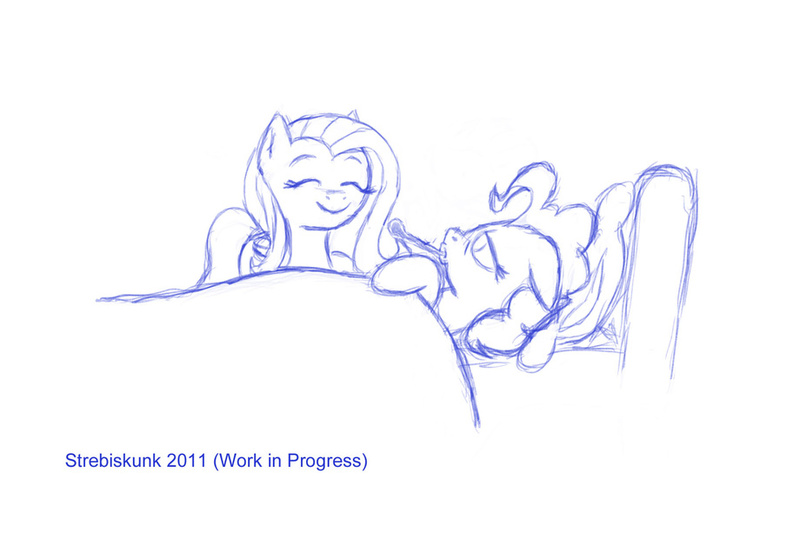 I think Pinkie Pie and Fluttershy make a nice combo, don't you? Just a rough sketch. I'll move this to scraps when the final version is done. My Little Pony: Friendship is Magic is the creation of Lauren Faust and the property of Hasbro.